It is just a matter of time before the charade of rising home prices will stop and reverse itself. 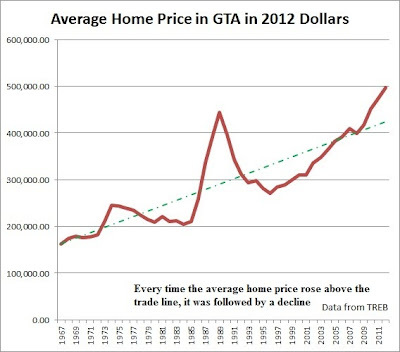 Falling home prices in Toronto happened before and they will happen again. 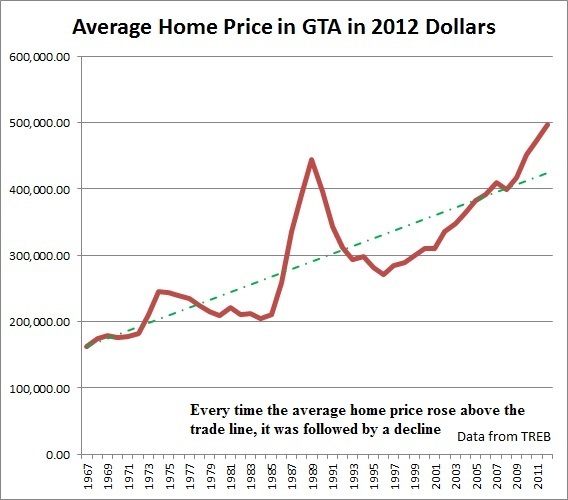 Every time the real average home price in the GTA rose above the trade line, it was followed by a period of real estate depreciation. The more the home prices rise, the more they eventually fall.